- Using data to make transportation decisions, with safety, public health, and equity as top criteria. - Linking land use and transportation policy. 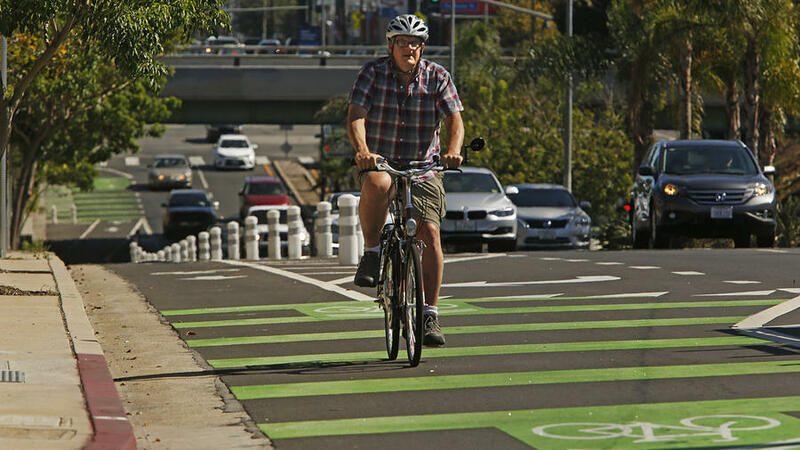 - Making equity a prime consideration in transportation planning. The plan also calls for a “Vision Zero” approach to reducing traffic fatalities and serious injuries. Currently, according to the city’s figures, more than 36,000 city residents are injured or killed in motor vehicle crashes each year. Fundamentally, the plan moves away from level of service (LOS) to the vehicle miles travelled (VMT) with the goal of reducing the number of miles driven by the city’s residents. This LOS/VMT replacement is in line with California's movement as already reported last month in this website. LA Mobility Plan 2035. See also.